Like, comment, share or tag a friend to enter our leggings giveaway. 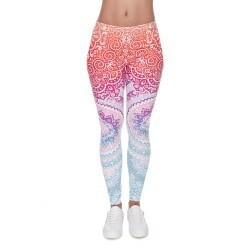 Click on any of the buttons below to enter to win our Pastel Paisley and Flowers Ombre leggings on one of our social platforms. A winner will be announced on 8.18.17. The more you share, the better chance of winning. This giveaway will run until Tuesday, August 8th and a winner will be picked at random. The winner will be contacted via a message on the social platform they entered. The winner will get to choose the size of the pair of leggings they have won unless it is one size fits all. You may enter the giveaway by liking, commenting, sharing or tagging a friend on Instagram, Facebook, Twitter or Pinterest. You may enter on one to four of the social platforms. Increase your chances by entering on all four. You must be 18+ to enter and it is available to everyone worldwide.